Eight seeded pairs, eight booked Men’s Doubles quarter-final places on the late morning of Tuesday 4th July at the Seamaster 2017 ITTF World Tour Platinum Australia Open in Gold Coast. It was an opening round where matters advanced according to status; however, for two pairs of note there were close calls. 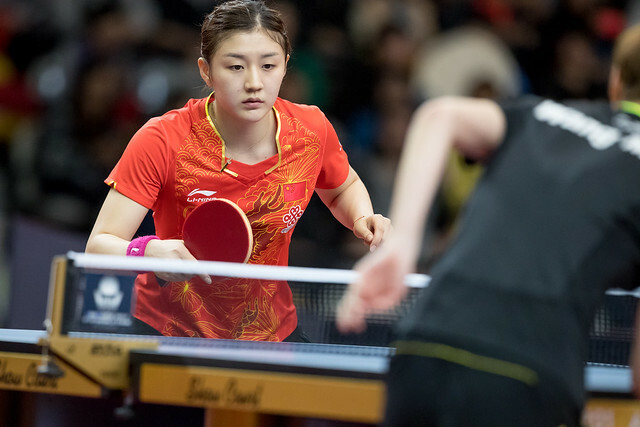 Chinese Taipei’s Chen Chien-An and Chiang Hung-Chieh, the no.2 seeds, alongside Japan’s Jin Ueda and Maharu Yoshimura, the no.3 seeds and winners just under two weeks earlier in China, needed the full five games to ensure victory. Chen Chien-An and Chiang Hung-Chieh had to recover from a two games to nil deficit to beat the Indian duo of Amalraj Anthony and Harmeet Desai (5-11, 6-11, 11-7, 11-8, 11-7); the hard fought win being realised after Jin Ueda and Maharu Yoshimura had eventually overcome the combination of England’s Paul Drinkhall and Scotland’s Gavin Rumgay (11-8, 7-11, 11-3, 4-11, 11-8). Defeat for India but there was success and there was success for the host nation. Sathiyan Gnanasekaran and Sanil Shetty, the no.5 seeds, accounted for Australia’s David Powell and Kane Townsend (12-10, 7-11, 11-6, 11-7); conversely Heming Hu and Yan Xin, the no.8 seeds, overcome New Zealand’s Chen Zhiyang and Liu Tengteng (11-5, 11-6, 11-3). Success for Heming Hu and Yan Xin but it was defeat for colleagues, Trent Carter and Wade Townsend; they experienced defeat at the hands of Singapore’s Gao Ning and Pang Xue Jie, the no.4 seeds (11-4, 13-11, 11-8). Meanwhile in the remaining opening round Men’s Doubles contests the seeded pairs asserted authority. Chinese Taipei’s Lee Chia-Sheng and Liao Cheng-Ting, the no.6 seeds, defeated New Zealand’s Kelsey Amor and Dean Shu (11-8, 11-4, 11-5); Frenchmen Tristan Flore and Simon Gauzy, the no.7 seeds, ended the hopes of the combination formed by Germany’s Benedek Duda and Slovakia’s Thomas Keinath (11-9, 8-11, 11-2, 11-9). 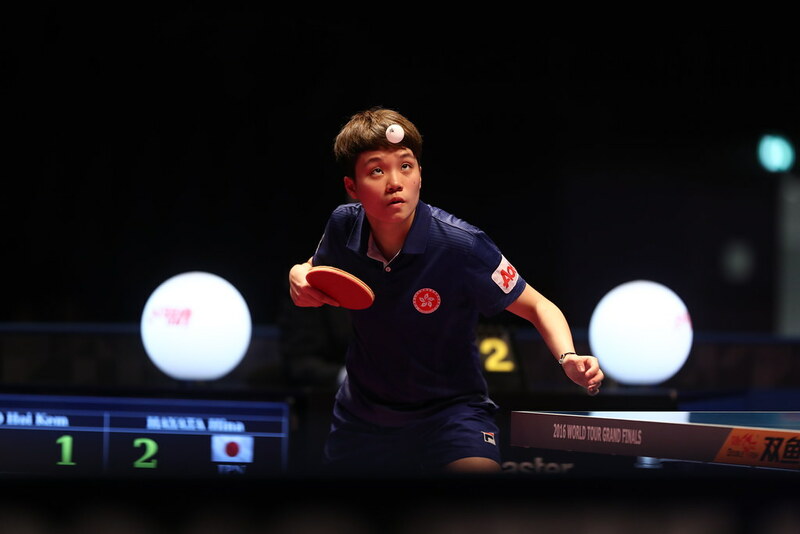 At the quarter-final stage Korea’s Jang Woojin and Park Ganghyeon, the top seeds, not required to compete in round one, meet Heming Yu and Yan Xin; Sathiyan Gnanasekaran and Sanil Shetty oppose Jin Ueda and Maharu Yoshimura. In the adjacent half of the draw, Gao Ning and Pang Xue Jie confront Lee Chia-Sheng and Liao Cheng-Ting; Chen Chien-An and Chiang Hung-Chieh play Tristan Flore and Simon Gauzy. The quarter-final and semi-final matches in the Men’s Doubles event will be played on Wednesday 5th July.